PandaDoc is a San Francisco-based document automation software company that helps teams streamline their sales workflows. 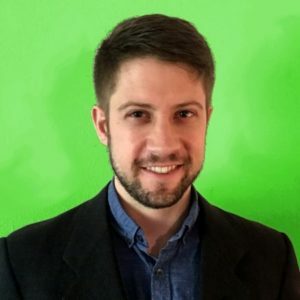 Nathan Lippi is currently a Product Manager based out of their St. Petersburg, Florida office. He works to drive sustainable growth by helping the product team — who are in Minsk, Belarus — connect more deeply with PandaDoc’s USA-heavy customer base, so they can make customer-centric decisions. Due to timezone challenges, this was a particularly daunting task, yet one of utmost importance. When he began his career at PandaDoc as Revenue Engineer, Nathan was eager to make an impact. He spent time building out sophisticated retention models that he hoped the product team could use to measure and accelerate growth. However, these complex models weren’t widely-applicable across PandaDoc’s feature-based product teams, nor did they resonate on an emotional level with leadership, PMs, and individual contributors. Finding the data to both guide and galvanize the team at all levels was proving difficult. Nathan, as well as PandaDoc’s leadership team, knew that they couldn’t take their past growth rate for granted. 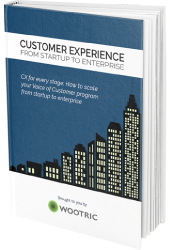 Through the underwhelming results of the retention model project, they had learned that in order to sharpen their edge, they needed to bring Voice of the Customer to the product teams, and drive customer-centricity more deeply into their culture. But they weren’t sure how. 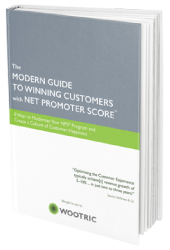 Everything changed when Nathan was asked by Vik Kuushynau, PandaDoc’s Head of Product, to implement a Net Promoter Score system. It started as a side project, but would soon become much more. Net Promoter Score may have started as a side project for Nathan, but in just 6 months, Wootric NPS has created an unmistakable shift in the culture at PandaDoc. This wave of change started very simply. They began by asking for feedback from customers while they were logged in to PandaDoc using Wootric’s in-app NPS microsurvey. Nathan then connected Wootric to Slack via their plug ‘n play Slack integration, which gave the product team their first taste of customer feedback in real-time. The simple loyalty metric was easy for everyone to understand and rally around, even in the beginning. With NPS feedback flowing into Slack, the whole company started having conversations centered directly around what customers were saying. Relevant team members got tagged, and soon #nps was one of the most popular Slack channels; the CEO, CTO, PMs, customer success, support, sales, developers, marketing, and finance would all collaboratively discuss, and then address to feedback. Everyone was hooked. Nathan and all the product managers take turns responding via email to every single person who gives them feedback. 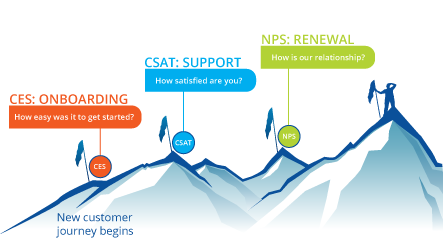 Customer feedback is now ingrained in the day-to-day workflow of the product team, NPS priorities are updated in Jira; there’s no desire to turn back. “We’d looked at every NPS platform under the sun, and Wootric was the sweet spot between other NPS tools and the super pricey market research platforms,” says Nathan. 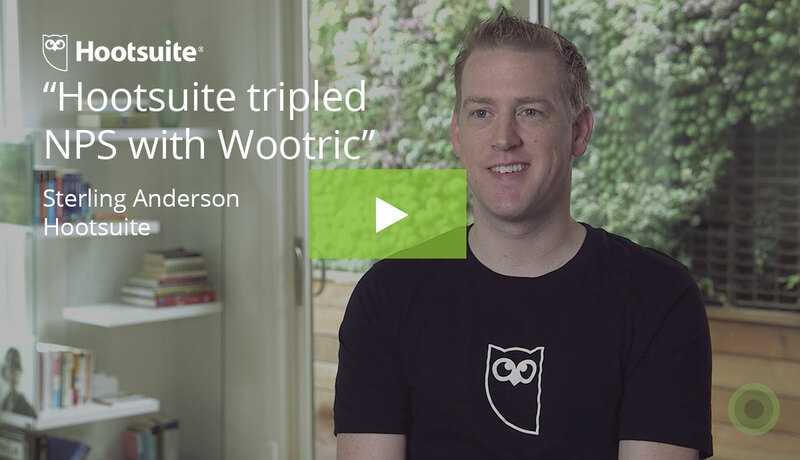 “The Wootric team has been amazing from start to finish, helping us steer clear of the inevitable roadblocks that’ll show up with any program that touches an entire company. It’s clear they practice what they preach, from the C-level, to sales, marketing, and Customer Success. We’re very happy with the personal attention from the team. This combination of personal attention and the great product has helped us grow the Voice of Customer initiative as our team’s needs have matured. 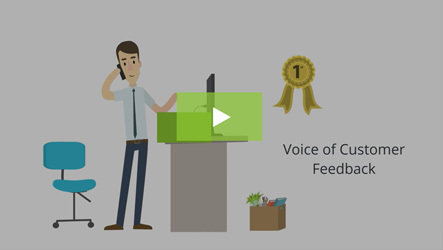 Once analysis of Wootric feedback made it clear that a specific cohort of customers were having difficulty with slowness, we reached out to our CSM, Sarang, on how to solicit more feedback on a recurring basis. Ensure product roadmap choices are driving growth. Finding the right metric/model that moves the needle and resonates with product engineers. Product team uses NPS feedback to prioritize features that will improve customer experience, and drive growth.